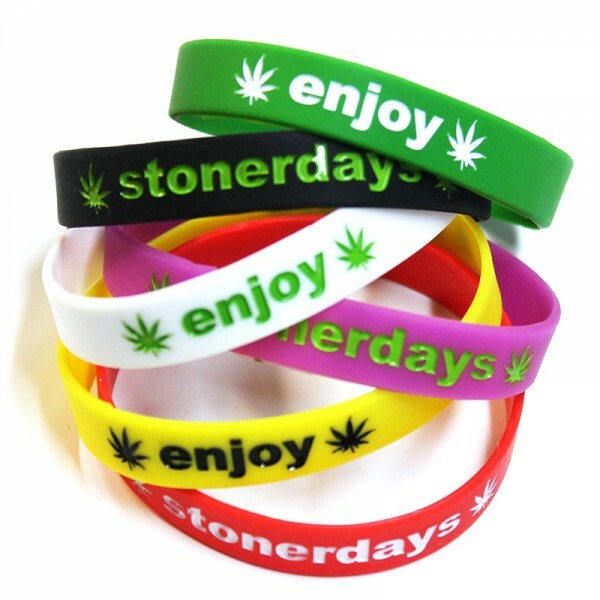 StonerDays bracelets are available only at shop.stonerdays.com don’t let these get away! Great for any smoking event or just simply reppin what you love that sweet Mary Jane. We carry seven different colors WHITE, RED, BLUE, GREEN, BLACK, YELLOW, LAVENDER and two different style’s! FREE sticker pack with every order and FREE USPS Priority Shipping (1-3 Day Delivery) in the US. These are made by Stoners for Stoners for both Men and Women. Enjoy your Wrist Bands.